There was ice on the windscreen, ruling out Kirkstone Pass, so I’d have no option but to go the long way round on the M6. 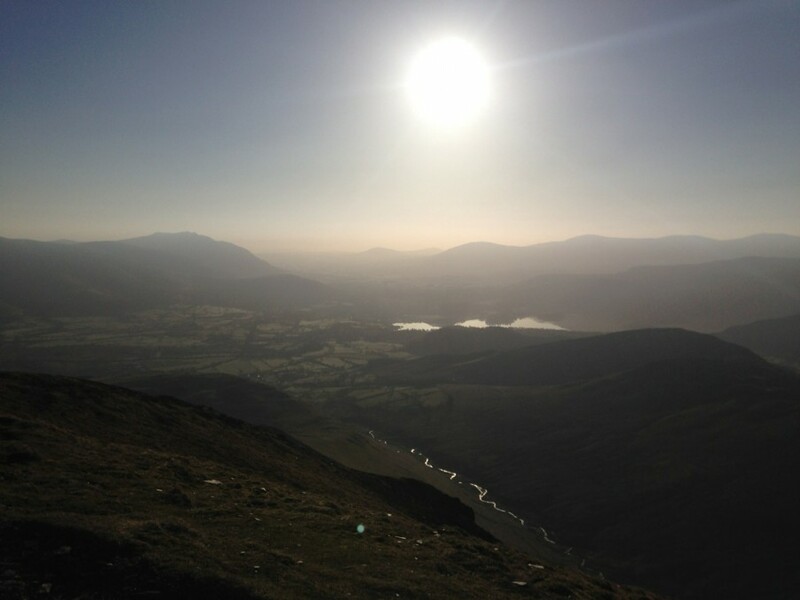 It was 5.15am and I was heading for Braithwaite, near Keswick. There was no need for me to set an alarm. I was in bed and asleep by 8.30pm last night. Knowing I’d wake up eight hours later, give or take. I’d already packed my gear, and my running kit was next to the bed. I crept downstairs in the darkness. First a strong coffee. A bowl of porridge, then I was away. The sun burst over the horizon as I neared Penrith. Soon I was driving along the quiet road into Braithwaite. 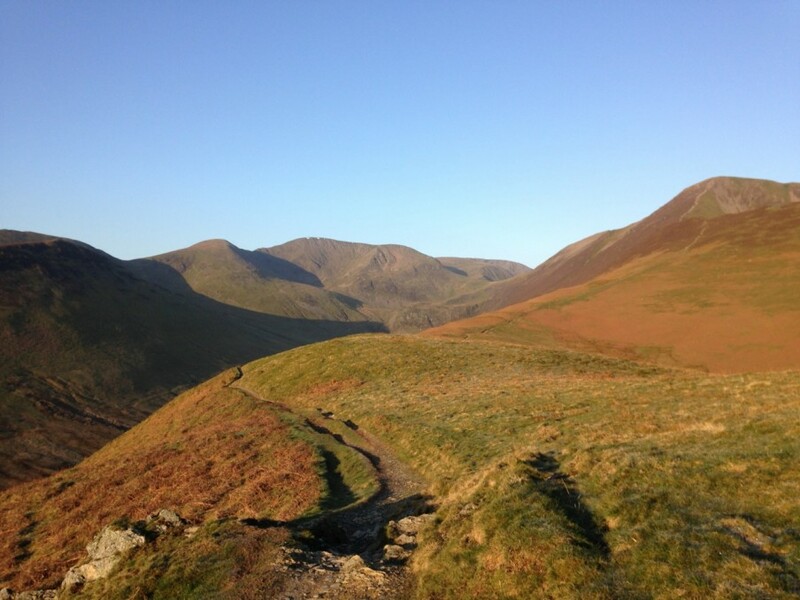 Two early morning runners heading towards the fells, one wearing a Lakeland Trails tee shirt, making me smile. 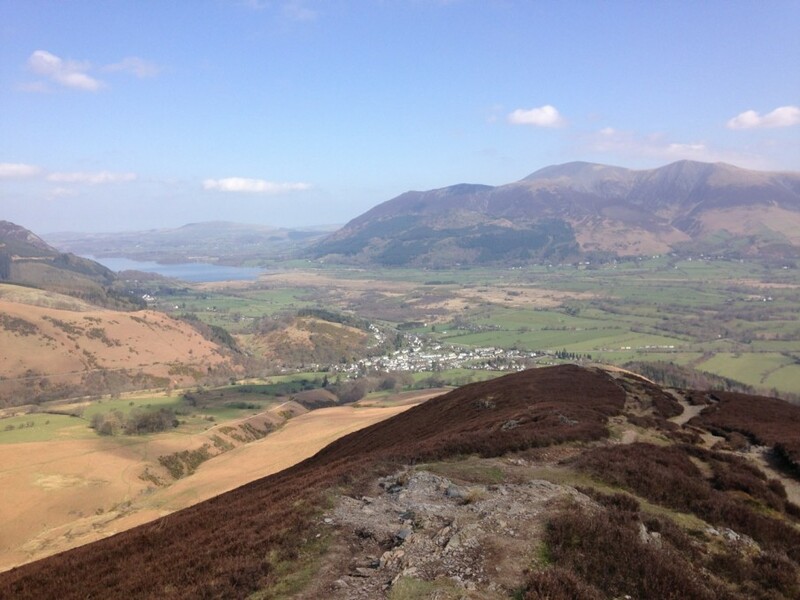 Grisedale Pike from Braithwaite, is my favourite climb in the whole Lake District. I love the way it varies from hands on knees steepness, to easy gradients that are great for running. 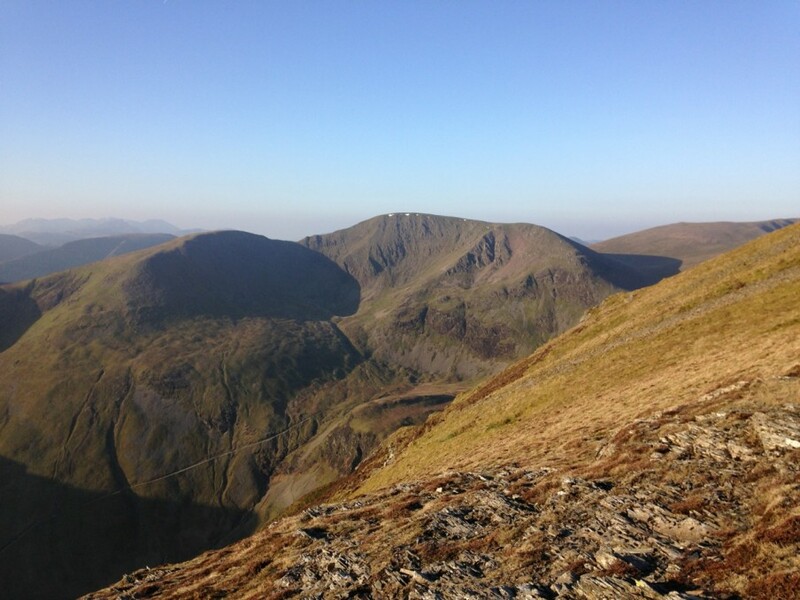 The ascent quickly takes you right into the heart of these fells, with 360′ panoramic views. There was still frost in the shady patches. Low sun made spectacular shadows, silvering the meandering ribbon of Coledale Beck far below. 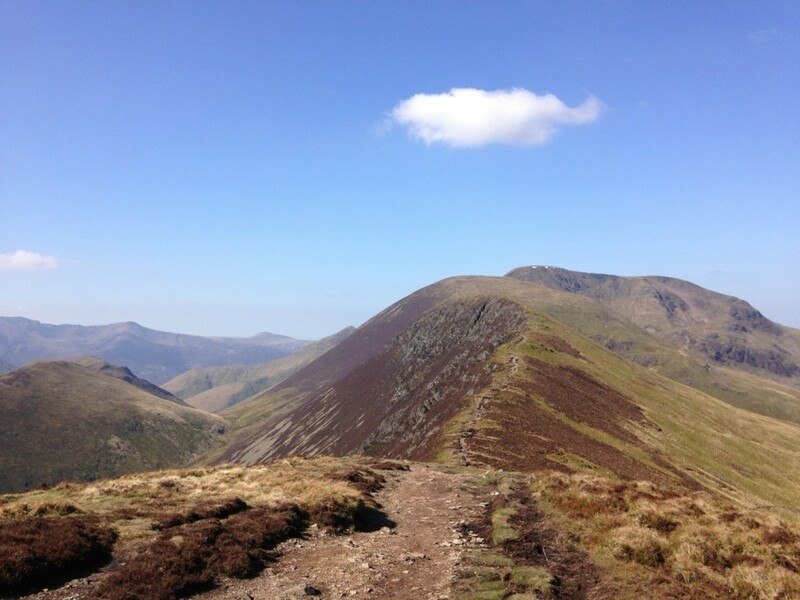 A lovely ridge run from Grisedale Pike summit, first to Hopegill Head, then along to Whiteside. 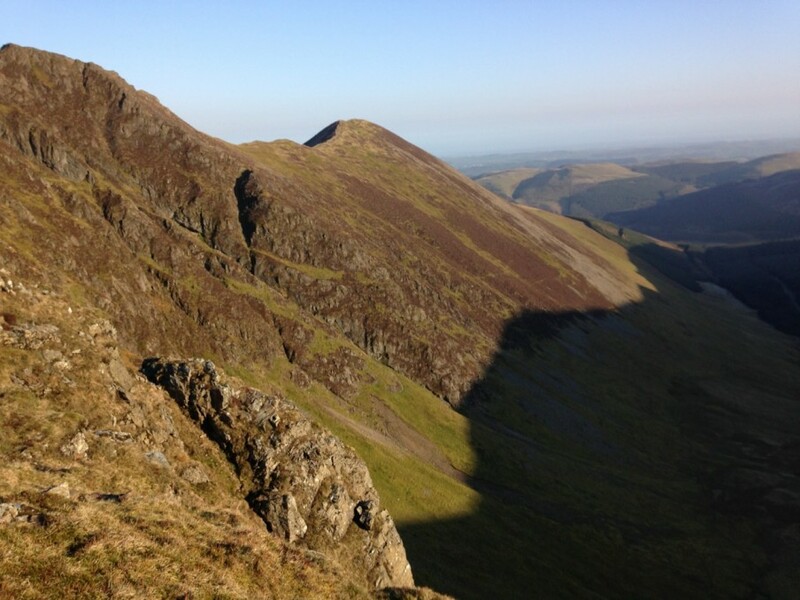 The rising sun bringing Gasgale Crags and the steep slopes of Grasmoor into sharp relief. From Whiteside, it would be new territory. 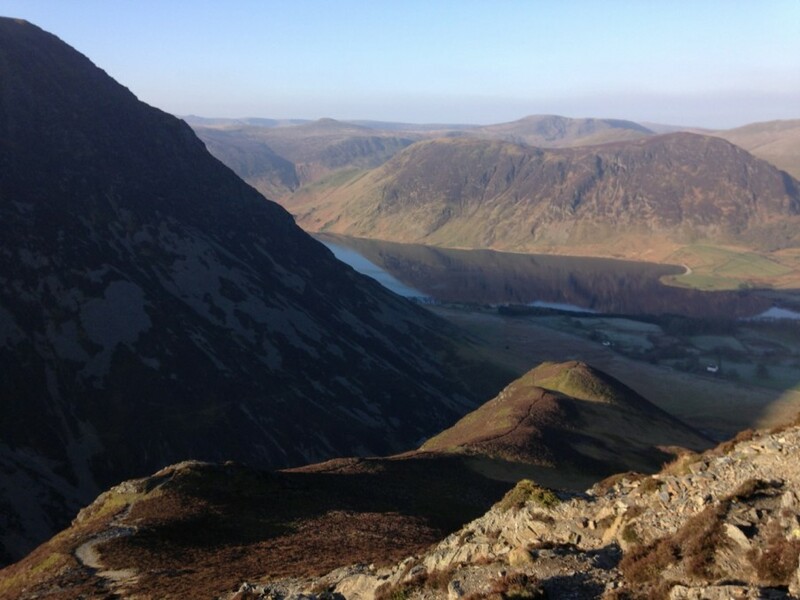 Descending the rocky ridge, with loose scree, all the way down to Crummock Water far below. Mist steaming as the first rays of sun caught the inverted air. 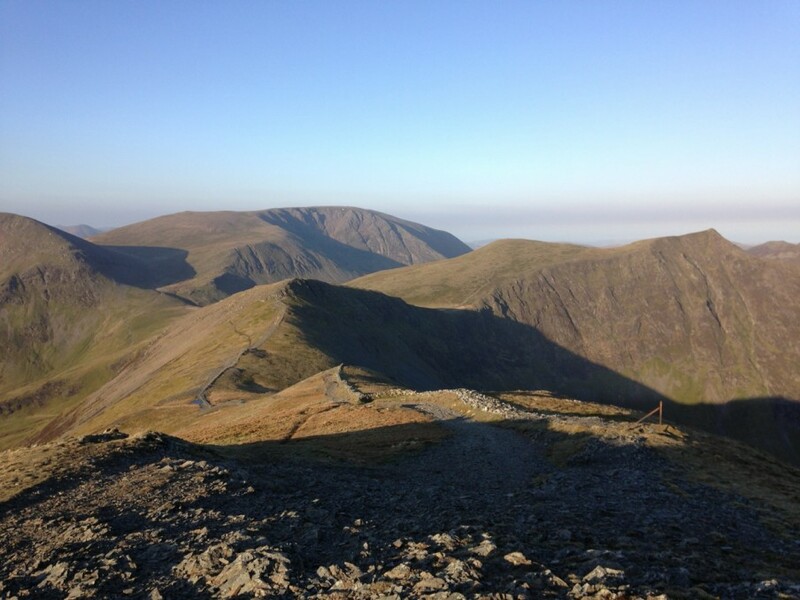 It was coach’s idea to drop all this height, then contour round Grasmoor End. 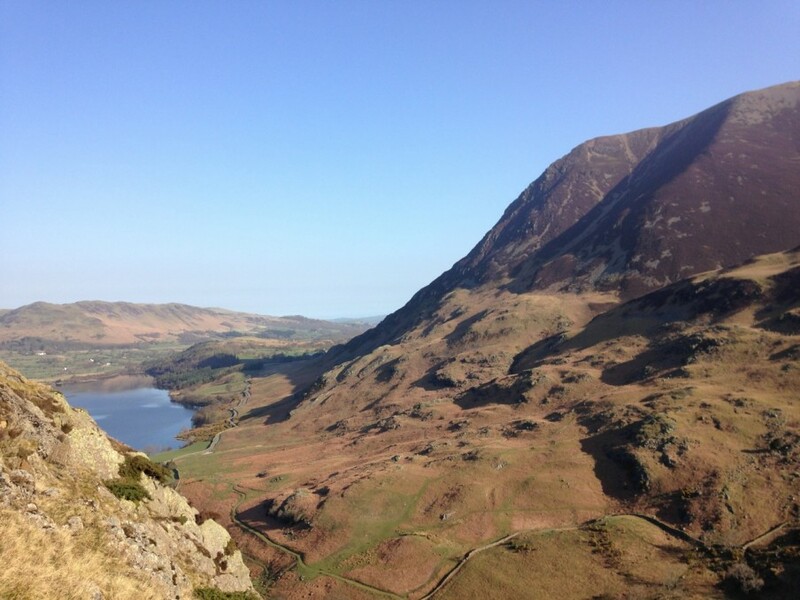 Setting up a nice, short steep climb to Rannerdale Knotts. 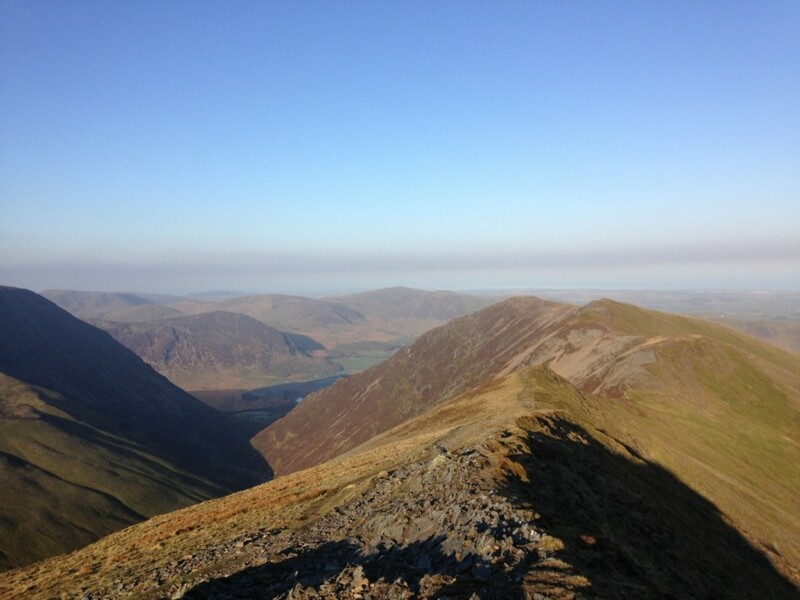 Then climbing all the way up to the whale back summit of Grasmoor itself. There were misgivings about the plan, designed for an extra hour on my feet. I don’t know if I have to thank the local Herdwick sheep or fellow Wainwright baggers, or both. There is the most brilliant, grassy trod contouring all the way to Rannerdale. 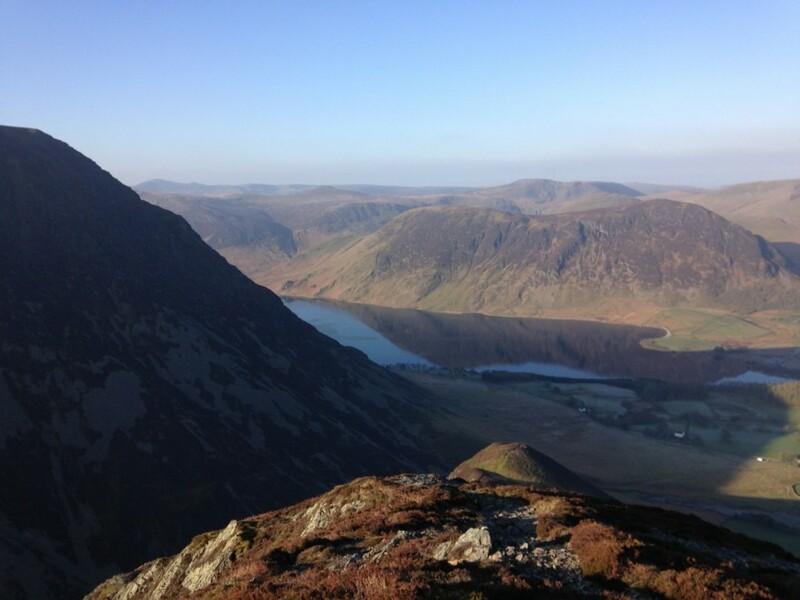 The views, with the first light shining on the new yellow gorse blossom, fields green with spring growth, and Buttermere with it’s impressive backdrop of fells, were simply jaw dropping beautiful. The ridge from Rannerdale summit was another new one. Soon I was back on more familiar territory. 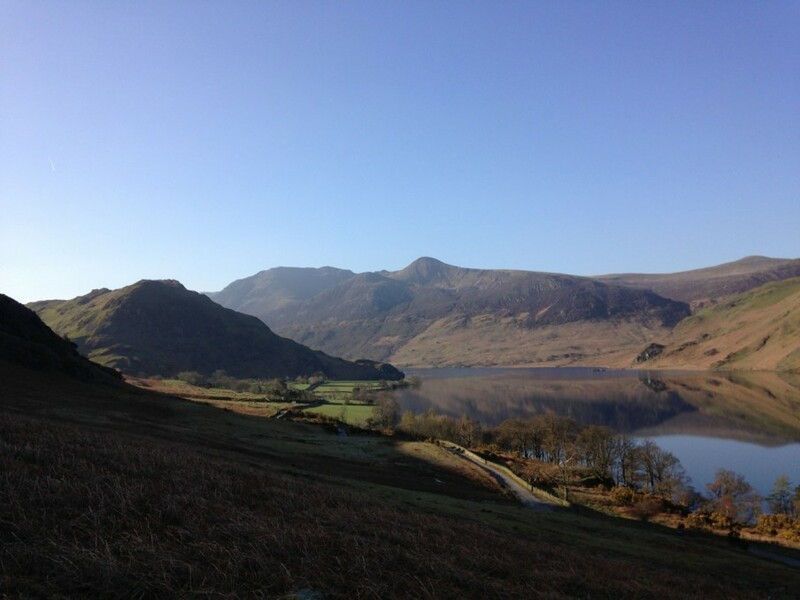 Making the big climb to Whitless Pike, everywhere I looked, a picture postcard. Nearing Wandope a wheatear with a bill full of flies. Proof of newly hatched young in her nest under a rock somewhere nearby. The short grass on Grasmoor a delight to run on, the ground hard and dry. 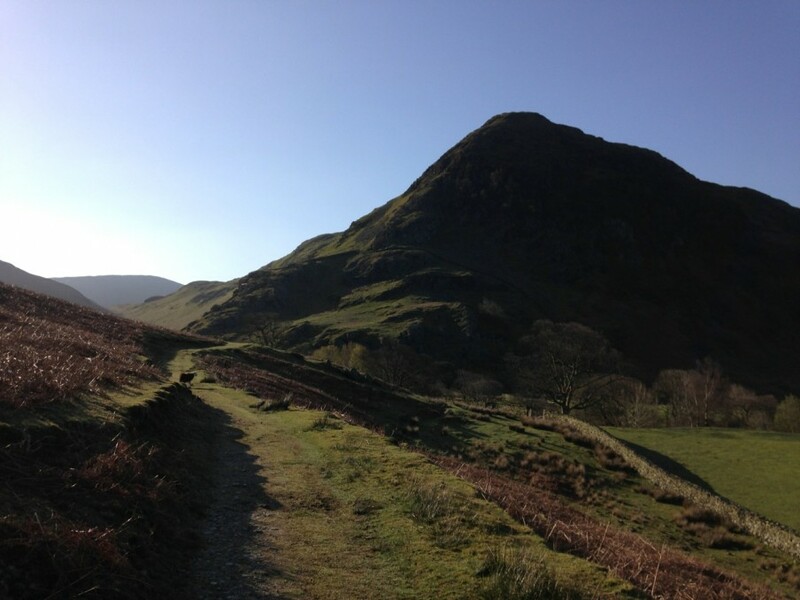 An easy climb to Eel Crag. The trig point in a poor state, looking as though it had fallen over, then propped back up again, leaning slightly. Dry rocks on the ridge to the summit of Sail. 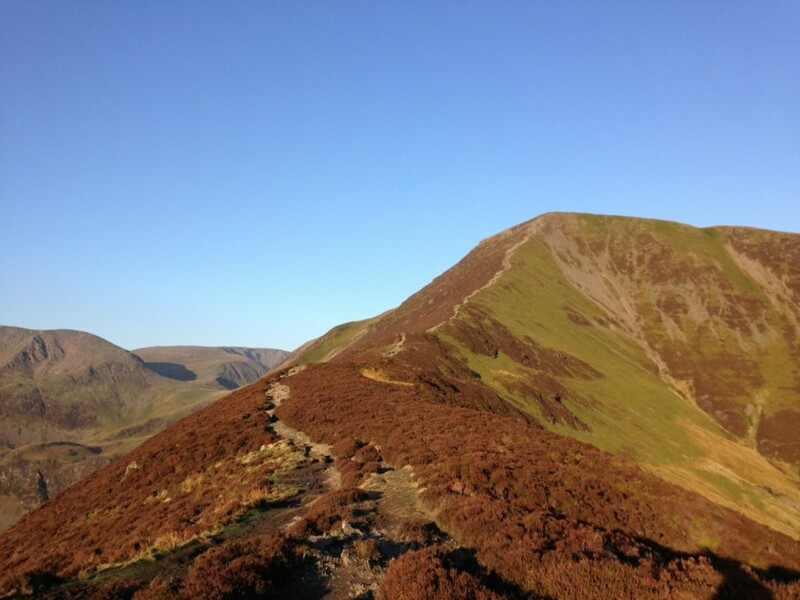 A a straight line between the new zig zag walker’s path to Scar Crags. 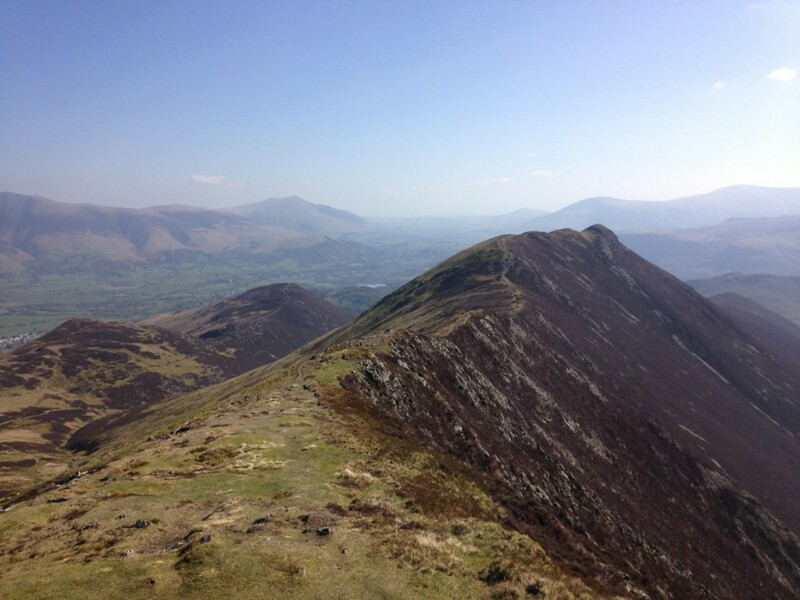 Causey Pike marked my 100th Wainwright of the year. Also the first thermal cloud of the morning, bringing texture to the blue of the sky. It’s often wet and boggy on the descent to Outerside. Today didn’t disappoint, and by Barrow I was being greeted “good morning” by the first walkers. I had to laugh to myself. They were just starting out, and my adventure was nearly finished. Yellow green new leaf was budding out on the oak trees on the track near Braithwaite Lodge, and swallows were everywhere. Back at my van, I got changed and looked at my camera. I’d somehow managed to take 189 photos during the run. I’ve absolutely no idea how I’m going to keep that a secret from coach. But that’s the disadvantage of being self coached, I guess. I had kept a good pace going though, in between taking photos. I thought about all the hours of training I’ve done through the cold, wet, winter months, and realised. It was for days like this. 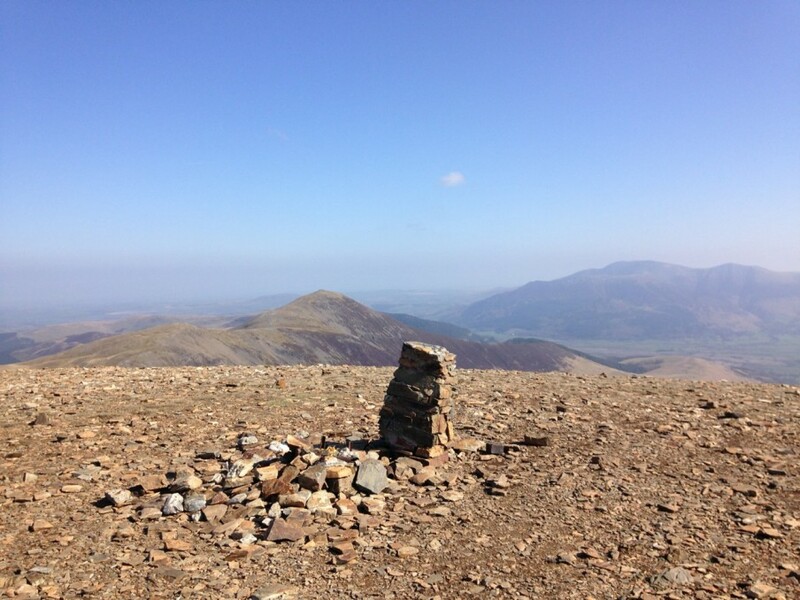 13 Wainwright summits today, that’s 102 down, 112 to go. I’d hoped to catch you at Hawkshead last weekend where my wife was running the 17km race, but best laid plans and all that, so I thought I’d ask my question on here. Is there a way you could embed a map showing the route you’ve taken on your next post(s)? I can always find your start and end points but seeing the actual route taken from A to B would make your interesting posts even more interesting(er)! 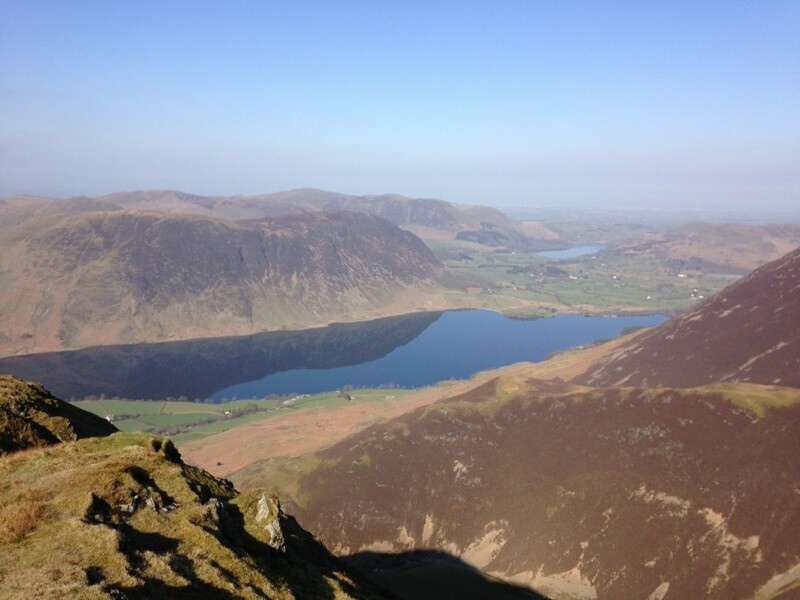 If not, no problem and good luck with both the Joss Naylor Challenge and remaining Wainwrights. 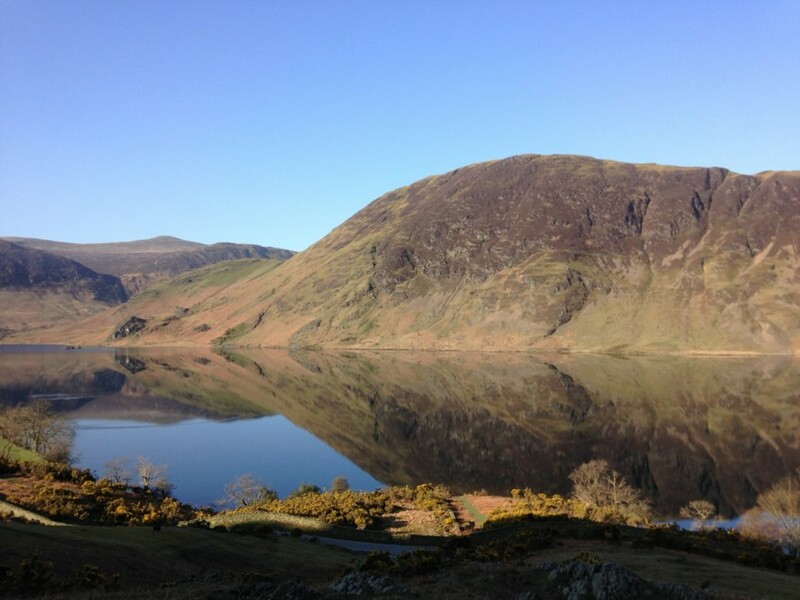 I’m running the Kentmere 17km Race in a couple of weeks so maybe I’ll be able to bend your ear there!